The $1.25 billion company spent 18 months secretly working on its second-ever product. Is it the beginning of a new fitness revolution? Have startup questions? 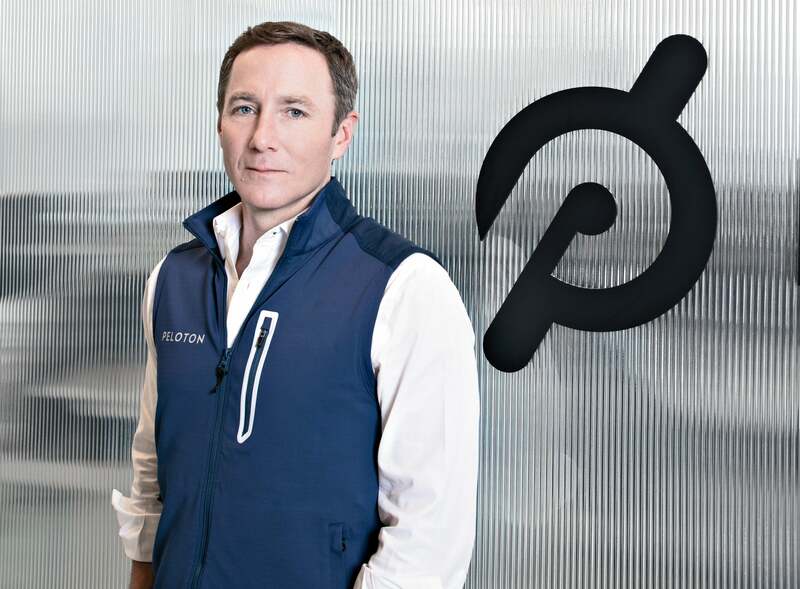 Peloton CEO John Foley's got answers! Get advice from him during a Facebook Live at 1 p.m. EST on June 5. Join our Facebook Event to be notified when we are live. John Foley can’t find his desk. The co-founder and CEO of Peloton is showing me around the Manhattan headquarters of his company -- which streams boutique-style cycling classes to high-tech, at-home exercise bikes -- and explains that the open floor plan was recently rearranged. It’s something they do every six months to keep the space feeling fresh and get different departments talking, he says. It’s a practice he loves, and he stands by it. Though it can be disorienting. “Oh, here it is!” He practically giggles. It turns out his desk is now next to Hisao Kushi’s, one of his co-founders. As our tour continues through the offices, Foley is warm and affable with the ever-increasing number of staffers. The company moved here a little more than a year ago and took up two full floors; today it occupies six. In turn, those staffers seem at ease with their leader. More than one pokes fun at his new mustache. “Oh, hey, John, nice…’stache,” remarks an employee who flies past us on the stairs, her tone a mix of confusion and irony. “Thank you; it’s new!” Foley shouts back earnestly. Foley is not what comes to mind when you envision the CEO of a fast-growing tech company. He’s neither a serial entrepreneur nor a hoodie-­wearing millennial. He’s a 46-year-old father of two whose business experience stretches from manufacturing at Mars, Inc., to CEO of Evite, to heading up e-commerce at Barnes & Noble, where he most recently served as president. His success can be traced back to humble beginnings -- his first job was at McDonald’s, when he was 14. By working the fast-food circuit, he put himself through college and eventually landed at Harvard Business School. When he launched Peloton in 2012, it was to replicate the type of boutique fitness classes Foley loved, but in one’s home -- like bringing SoulCycle to your living room. The market opportunity seems there; fitness is a $31 billion industry, and Americans are spending more money but less time on fitness each year. Hence the rise of the boutique fitness industry. But Foley reasoned that people would most happily invest their hours and dollars in something they could do at home, so long as it was perfect. That’s what he’s proposing: Buy a $1,995 Peloton bike, and for an additional $39 a month receive on-demand access to classes. Join a live class, or choose one of 8,000 archived classes based on instructor, length, music or intensity. Whatever workout you’re looking for, Peloton believes it has it. That may come a decade from now, but Peloton’s numbers today tell the story of a company at a crossroads. Over the past six years, Peloton has sold 200,000 bikes -- a small number of customers compared with membership numbers at national gym chains, which encourages critics’ arguments that Peloton’s bike is nothing more than a niche product for the elite. But Peloton and its investors are happy with the bike’s traction and believe it proves the market for Foley’s vision of the future. It raised nearly $444 million through five rounds of fund-raising, revenue for 2016 hit $170 million, and the company’s unicorn-status $1.25 billion valuation has it eyeing an IPO. Now, to move toward that vision of “fitness as a service,” Peloton must move faster than its pedal-pushing customers. Throughout 2017, Foley has armed himself for the future. And now, Peloton is about to make its biggest, riskiest, most expensive bet yet. On January 9, 2018, at the Consumer Electronics Show (CES) in Las Vegas, it will introduce the Peloton Tread -- a pricey, futuristic, at-home treadmill that will stream interval fitness classes. It’s Peloton’s second-ever product and one the company hopes will project its true disruptive potential. In fact, it’s so important to the company’s future that for the past 18 months, it’s been code-named Aurora and kept behind a locked door, accessible to just a few of Peloton’s 700 employees -- and then me, the first reporter in the room. When the Peloton Tread starts entering consumers’ homes this fall, it will truly test what this unicorn is made of. It will either reaffirm nonbelievers’ most stubborn misgivings about Peloton or bring the company boundless profits, and take it one step closer to pushing conventional gyms out of business. So far, so good: The company sold more Treads in the first week of preorders than it sold bikes in its first year in business. Back in 2011, when Foley first shared his idea for Peloton with Cortese, it was a vision to solve a problem that was driving Foley crazy: Cycling classes were expensive and in such demand that it was almost impossible to reserve a bike. “There had to be a way to give every customer the best seat in the house with the best instructor,” he says. To make that happen, he wanted to partner with brands like SoulCycle and Flywheel and ask them to create videos of great instructors leading classes. Peloton would then figure out how to deliver them to customers’ homes. Still, he soldiered on, eventually cobbling together funding from more than 100 angel investors. With this money, Peloton built its bike -- and the state-of-the-art tablet that’s attached to it -- from scratch. It built its own distribution network: If you order from one of its 31 retail showrooms, the bike will likely be delivered to you in a Peloton truck and set up in your home by Peloton employees. Of course, the biggest hurdle wasn’t financial or technological. If Peloton was going to flourish, it had to find a way to replicate the things that inspire such fierce loyalty among customers of SoulCycle, Flywheel and other boutique fitness brands -- that specialized, personalized experience where you get to know your instructor as well as the folks exercising next to you. Peloton had to make every rider pedaling alone in her living room feel like she’s surrounded by 60 other sweaty, inspired people. And this, Peloton found, would be far more complicated than simply filming a class and streaming it to a tablet. Not far from Peloton HQ, there’s a block of Manhattan’s 23rd Street packed with boutique fitness offerings. Orangetheory Fitness is to the left; a Rumble boxing gym to the right. And in the middle is the Peloton studio, looking like just one of many. There’s a small Peloton retail space up front, a well-equipped lounge and locker room, a class studio,and a juice bar serving up $9 smoothies. But downstairs, in one corner of the basement, there’s something very different: a control room with a complicated array of boards and screens all lit up like a spaceship, manned this day by three young women doing what I’m told would be the work of 12 employees at a traditional TV studio. This basement is home to the Peloton production team, capturing classes that are beamed to bikes around the world. It didn’t always look this way. In the early days, a small office with a makeshift studio -- a 10-by-10-foot box with a store-bought stationary bike and a single camera -- was used to recruit and audition instructors. “It was a janky place,” says Robin Arzón, Peloton’s head instructor and VP of fitness programming. 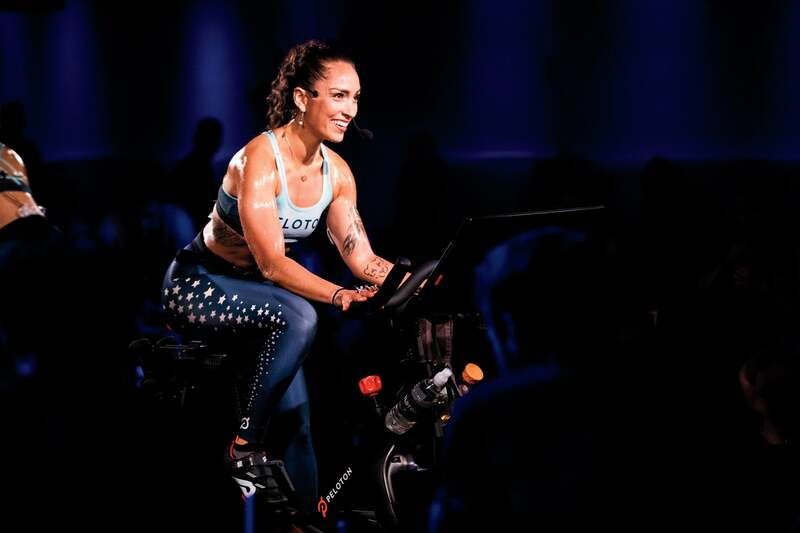 A former corporate litigator turned fitness author and personality, Arzón was drawn to Foley’s vision for Peloton as a way to improve lives, as well as how the company gives instructors salaried positions and equity. Every interaction a rider has with a Peloton bike is collected as data that feeds the experience. The company is paying attention to what songs riders like, what instructors they prefer, what type of workout they gravitate toward, what ratings they give individual classes. Peloton uses that data to compare rider profiles and suggest (and create) better, more targeted content. During live classes -- in which instructors and riders alike can track participants’ progress up and down the leaderboard -- a community of virtual friends develops. Instructors in New York can acknowledge a rider in Boise, Idaho, by name, encourage them to pedal a little faster or congratulate them on taking their 100th ride. This is the mission Peloton sees in Tread. It’s about way more than fitness. One afternoon this past fall, I head to the Peloton offices to get a peek at Tread. It's not easy: It’s locked in a room accessible only via facial recognition. “I tried to get in with a picture of my face, and it didn’t work,” Cortese says with relief. With his supervision, I’m granted access. Inside is a room, its walls covered with inspirational shots of products and materials, and three MakerBot machines are 3-D printing what Cortese guesses could be anything from weight prototypes to unofficial toys for an upcoming office party. And then there’s the treadmill, smack in the middle. Cortese, who previously founded the now-defunct social network Proust.com, hops on and spends nearly an hour talking through every painstaking detail. It looks, frankly, like a treadmill -- though a very nice treadmill, with only one button (to turn it on), soft white LED lights emanating from two knobs that control speed and incline, and a 32-inch flatscreen complete with a built-in sound bar. Cortese stresses that each touchpoint has been obsessed over, tested, tweaked, retested and tweaked again. 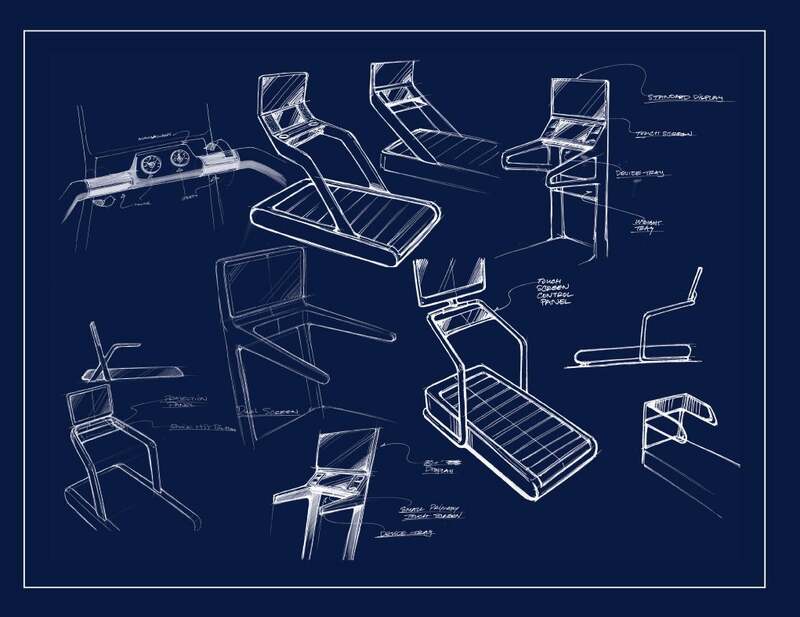 Its controls are meant to be intuitive; the slat-deck running surface, made of carbon steel and thick rubber, is designed to have less impact on a runner’s body than the flimsy single-band tracks most are used to. There’s a secret storage compartment on the machine’s base, for workout accessories or sneakers. “It was always clear that John and his co-founders weren’t going to leave all their eggs in the basket of cycling,” says Klein, the chief content officer. After all, Foley maintains his vision of “fitness as a service” with constantly refreshed home equipment. The only question was: What comes next, and when? Product development is slow and expensive, and Peloton didn’t want to rush it. So for a while, it focused on adding new programming. “The bike has been a sort of Trojan horse that emanates other forms of programming,” Klein says. The company, for example, has experimented with a small number of streaming yoga classes, dubbed Beyond the Ride. But by 2016, four years into the bike’s existence, Peloton knew it was time to start working on new hardware. And there was no debate as to what was next. “The treadmill market is five times bigger than the bike market, and customers were asking for it,” Foley says. “And we can scale the retail, logistics and streaming infrastructure we have in place, so we’re not totally starting from scratch.” Many at Peloton described the treadmill to me as “obvious,” and a way to connect with runners who don’t like cycling. So for 18 months, the company spent millions of dollars developing the device -- along with, critically, the experience surrounding it. That includes a brand-new studio in the West Village and a duplicate staff of instructors and producers. By this past November, when I first see Tread, the Peloton team is feeling good about it. They’re less confident in exactly how to present it to the world. At CES, where they’ll debut it, instructors are scheduled to give a demonstration of the product -- which seems simple enough. But unlike Peloton’s bike, on which riders sit for the entirety of a course, the treadmill’s classes require runners to step on and off the device repeatedly, with weight training exercises conducted on a mat positioned behind the treadmill. At a meeting of 11 staff members, the concerns are many, and the conversation runs in circles. Will audience members be able to see instructors if the mat is behind the device? Should the device be elevated on the platform? Will a stool then be needed to help instructors mount the machine? Will customers think the stool is something that comes with the device? “Yes, and the stool costs $5,000,” deadpans Bud Intonato, VP of product. The room bursts into laughter. (For the record: No stool is required.) But Peloton employees know they’ll have to justify the cost of the treadmill, just as they’ve had to justify the cost of the bike; the company has been giving Americans sticker shock for years. Peloton’s bike costs $1,995. 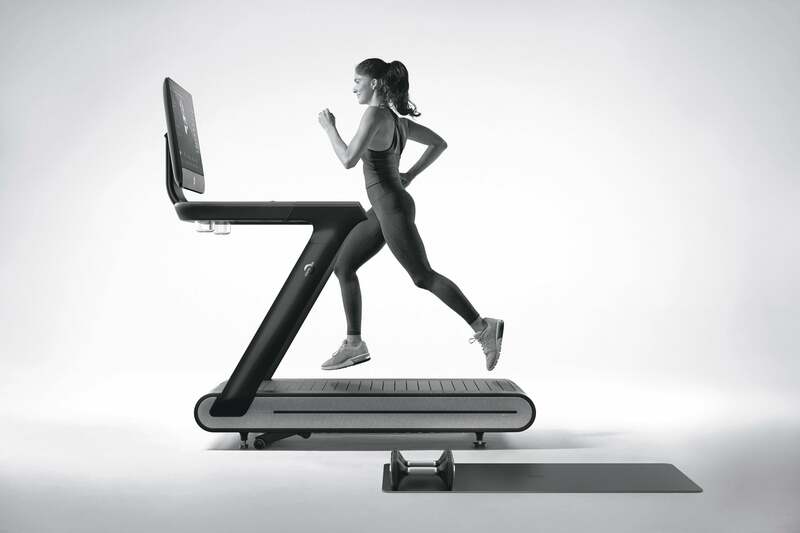 The treadmill will be $3,995. The company has long grappled with how to explain this expense, though Foley says it’s necessary. Theirs is a premium product, and it’s expensive to produce. “Two thousand dollars is crazy for a bike, but our bike does all this other stuff and doesn’t exist anywhere else,” he says, clearly having had this conversation hundreds of times before. The treadmill is a larger, more complicated product and in turn, it carries a higher price tag. Foley’s only defense is to make sure Peloton effectively communicates the long-term value of owning this equipment -- which may not soothe consumers who can’t afford the upfront costs, though some analysts do agree with him. “If you look at how much, say, a single SoulCycle class costs compared with the unlimited access to fitness you get with your Peloton bike, it can be really economical,” says Anya Cohen, a fitness industry analyst at Ibisworld. Say a customer buys a Peloton bike and over the next 18 months takes 200 classes. In total, that year and a half of exercise will cost $2,697 (combining the costs of the bike and monthly subscription). At a brick-and-mortar studio where one class is $35, it would cost $7,000. Foley was never surprised by pushback on the price, though he has evolved how Peloton responds to it. The treadmill is a part of that. If you own the bike and buy the treadmill, your $39 monthly fee covers both. “One of the ways we plan to stave off competition is to not be greedy from a business model perspective,” he says. New workout programs are constantly being added. He compares Peloton’s approach to that of Amazon Prime, where Jeff Bezos is always adding new perks for the same subscription price. Greed, he says, will do a company in. “Pigs get fat, hogs get slaughtered,” he says. Peloton is also actively exploring new ways to get people on its products at no or low cost. In early 2017, it introduced a program to place in luxury hotels, apartment buildings and universities around the world, to allow nonsubscribers to experience Peloton’s classes at no charge. (Though Peloton, of course, hopes some of those people eventually become device owners.) And in October of last year, Peloton launched a financing program for its bikes, in which payments resemble the cost of a weekly Flywheel habit. Nevertheless, even as it expands its product offering and its community, price will remain a vulnerability for Peloton. And competitors have taken notice. In November 2017, Flywheel introduced Fly Anywhere, an at-home bike that streams studio classes. It starts at $1,699, plus a $39 monthly subscription; the more affordable bike syncs with your current iPhone and iPad to display content. It came seven years after Peloton first attempted to partner with the brand, and since then, Flywheel has expanded to 42 studios across the country. And yet much like Amazon, Foley sees his company as completely changing consumer behavior -- bringing fitness fully into the home and making the retail space increasingly irrelevant. After all, who needs a gym when the gym comes to you? A change like this would leave plenty of casualties in its path, so I ask point-blank if Foley wants to put gyms out of business. He pauses before answering. “Henry Ellenbogan at T. Rowe Price told me once that Peloton will do to fitness what gaming consoles did to gaming. In the ’80s you went to the arcade. Today they’re gone, because you get a better experience at home, interconnected with the world, and you get a better value because you don’t have to pay 25 cents every time you die,” he says. With the launch of the treadmill, Foley will see just how much of his vision people are ready to take home.